I may or may not do this Higgins Half Marathon I've been training for. The good news is I didn't have to pay anything to sign up so I'm not out any money. The bad news is if I don't do it I'll feel more than just a little guilty. I'm not saying it's totally off yet, just that it's hard to continue to train. 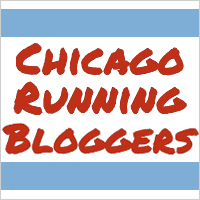 I haven't done a long run since the Walter Payton run and it's really hard to get up early on a Sunday morning and go run 8 or 9 or 10 miles. But I'm not saying I'm done yet. Just thinking about being done. I'm going to run tonight and tomorrow night and see how I feel. And if on Sunday I manage to get myself out and run 8 miles then maybe everything will be OK. I'll keep you posted.